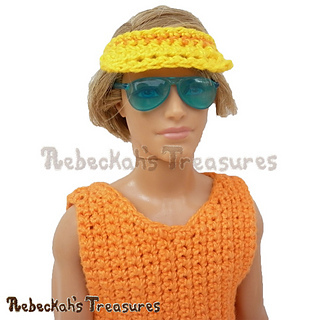 Looking to create a rocking beach outfit for your Surfer Dude dolls? Get him ready to enjoy the sun in style with this protective visor! 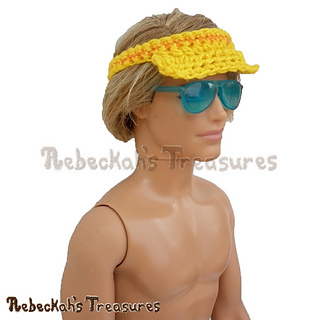 The Surfer Dude Fashion Doll eBook includes written instructions + photo tutorials for this Surfer Dude Visor. 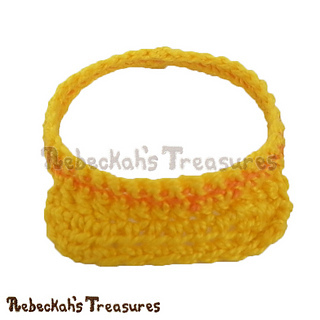 WIP photos show how to crochet the visor. 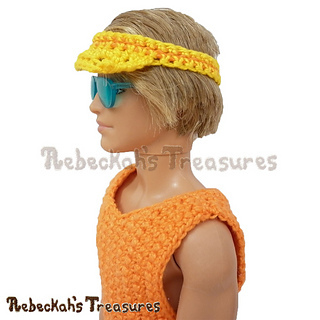 This eBook also includes FIVE additional patterns - Surfer Dude Doll’s Tank, Surfer Dude Doll’s Shorts, Surfer Dude Doll’s Flip-Flops, Fashion Doll’s Beach Ball and Fashion Doll’s Chevron Towel! 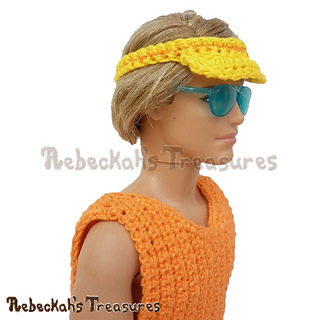 Designed to fit the 2013 model of the 12” Ken fashion doll by Mattel, using size 10 thread. Though, you may be able to get away with an alternate thread size depending on your tension. Head circumference of this doll is roughly 4” or 10 cm.